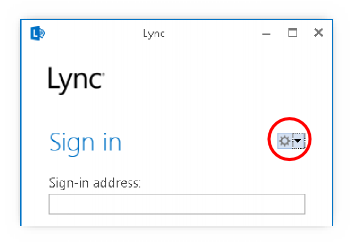 This guide will talk you through configuring your Lync 2013 account on the Microsoft Lync client for Windows. A guide on downloading the Microsoft Lync client (2013) can be found on our knowledgebase. 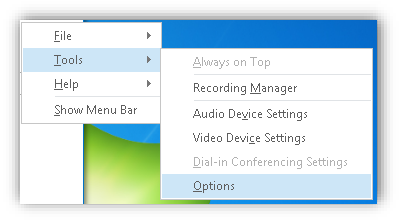 Open the Microsoft Lync Client and go to Options (Cog icon in the top right). Go to Tools > Options. Select Personal down the left hand side and then go to Advanced. Enter your login as shown in the control panel into the Sign-in Address field then click OK. Enter your Sign-in address and then click Sign In. When Prompted, enter your password. Your account is now configured on the Microsoft Lync Client.